Blore Hall holidaymakers: put yourselves to the Test! As the UK embarks on another summer of sport, the cricket season has not exactly started swimmingly – at least not at Test Match level. At the time of writing, England (not so long ago the world’s number-one Test side) have just limped to an humiliating nine-wicket defeat against a young, inexperienced Pakistan team at Lord’s. Compare that with Ireland – not historically a cricket-playing nation – who may not have won their maiden home Test, but nonetheless ran the Pakistanis close. It’s fair to say that England captain Joe Root, coach Trevor Bayliss, batting coach Mark Ramprakash and acting director of cricket Andy Flower have some serious thinking to do. Not only is the second Test against Pakistan just around the corner; but there follows a packed programme of one-day and T20 fixtures, culminating in a five-match Test series against India, the current world number-ones, starting on 1st August. One can only hope (if one is an England supporter) that a long summer of willow-on-leather will see a battle-hardened (and much-improved) England side take to the field at Edgbaston; but whatever England team shows up, attending a Test Match – whether just for a day, or a couple of days, or the whole (potentially) five-day event – is one of life’s great pleasures. And holidaymakers at Blore Hall in mid to late-August can do exactly that, when England and India visit Trent Bridge in Nottingham – a one-hour, 35-mile drive away – to play the third Test Match of the series, starting on Saturday 18th. 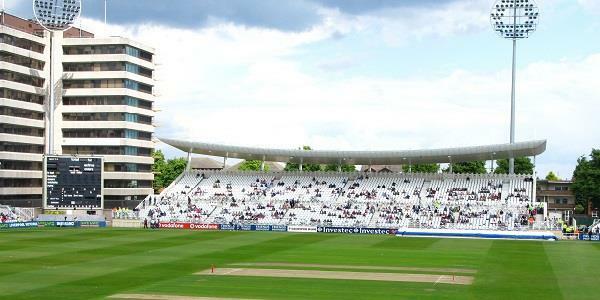 So it can lay claim to some antiquity; but a process of thoughtful renovation has seen some architecturally inspired stands built to complement older facilities to create a quintessential English ground. 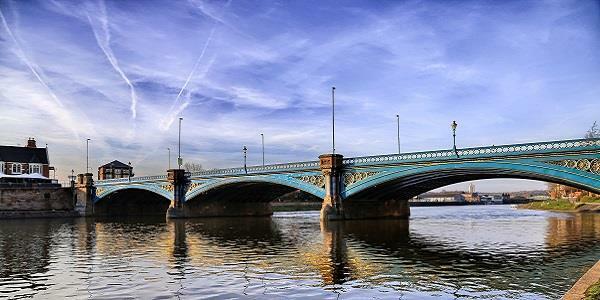 The atmosphere is great, too; Trent Bridge seems to attract a perfect mix of cricket buffs, steeped in statistics and the laws of the game, and ‘toe-in-the-water’ types – but the common factor is that everybody’s up for a grand day out. The cricket is hardly irrelevant; but it is but one factor (albeit the major one) contributing to what should be a hugely enjoyable day overall. Tickets for all five days of the match are available by clicking here. Tickets for day one or two are priced at between £50 and £70; day-three tickets are £30 to £50; day-four tickets are between £20 and £40; and final-day tickets are £10 across the board.